Election of Remedies Doctrine and Claims for Specific Performance and Breach of Contract - В сложной финансовой ситуации приходит на помощь кредит наличными в Казахстане. In an earlier article, I talked about the election of remedies doctrine. The purpose of this election of remedies doctrine is to preclude the plaintiff from obtaining a windfall by double-recovering its damages under alternative (or mutually exclusive) theories of liability. If a plaintiff could double recover on mutually exclusive theories of liability based on inconsistent facts, then plaintiffs would recover double than what they are rightfully entitled to. That isn’t fair! Before a trial court can apply the election of remedies doctrine, it must determine whether the remedies are factually consistent. A party may not obtain judgment for two remedies that are factually inconsistent. The Allegro at Boynton Beach, L.L.C. v. Pearson, 42 Fla. L. Weekly D2277d (Fla. 4th DCA 2017) (internal citations omitted). In The Allegro at Boynton Beach, the plaintiff had a right of first refusal over real property owned by the property owner. The property owner refused to honor the right of first refusal and entered into a purchase and sale contract to sell the property to another buyer. The plaintiff sued the property owner for breach of contract for monetary damages and for specific performance (to force the property owner to sell the property to it based on its right of first refusal and prevent the sale to the buyer). Both claims were predicated on the same facts. The plaintiff moved for summary judgment where its motion claimed that upon election of its remedy, it seeks damages or specific performance. The trial court granted the motion finding that the property owners failed to comply with the right of first refusal and the right of first refusal remained in effect. The property owner, trying to be cunning, decided to cancel its purchase and sale contract with the buyer and enter a new contract with the buyer for a higher purchase price, giving the agreement to the plaintiff to exercise its right of first refusal within 10 days. The plaintiff quickly moved for a final judgment of specific performance based on its election of remedy. The trial court denied this motion finding that the plaintiff already made an election of remedies to recover monetary damages and that the property owner’s original purchase and sale contract with the buyer was not longer effective due to the property owner cancelling the contract. The appellate court reversed both of the trial court’s findings. First, the appellate court held that the plaintiff’s remedies seeking breach of contract and specific performance were factually consistent since they were based on the same underlying factual transaction. In other words, they were not mutually exclusive remedies; rather, they were factually consistent. Only the full satisfaction of the plaintiff’s monetary damages would prevent the plaintiff from pursuing specific performance. Second, the appellate court quickly rejected the property owner’s cunning effort to cancel the original purchase and sale contract only to enter into a new agreement at a higher price. The appellate court stated when a property owner enters into a purchase contract, “a pre-existing right of refusal is converted into an irrevocable option to purchase.” The Allegro at Boynton Beach, supra (internal quotations and citations omitted). 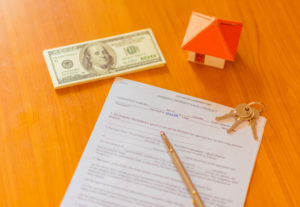 The property owner and buyer could not negate this irrevocable option by simply terminating the purchase and sale contract only to enter a new agreement.